MIRACLE EXPANDED METAL SHEET FACTORY, Expanded metal plates, Expanded metal sheet, Expanded metal, on EUROPAGES. Miracle Expanded Metal Sheet Factory is a professional expanded metal sheet production enterprises established in 1907. 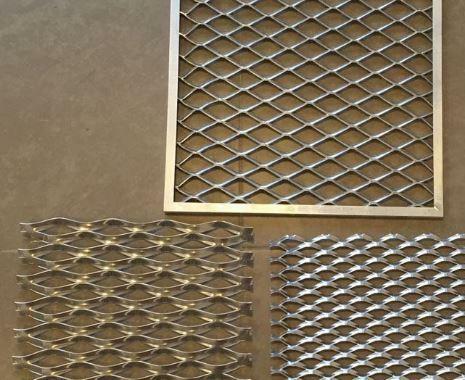 Miracle Expanded Metal Sheet Products include Hexagonal Expanded Metal, Decorative Expanded Metal Sheet, Industrial Expanded Metal Sheet, Expanded Metal for Building, Expanded Metal Grating, Flattened Expanded Metal and Expanded Metal Fencing Gates. Miracle tries to create good products and service. We believe in trusting each other in business cooperation, and we believe that good cooperation will bring new development to both sides.Expanded metal sheet with various opening sizes, pore shapes and sizes, pitch spacing and a wide variety of applications are made for your choice. Expanded Metal for Filters, Ceiling, Mesh, etc. Industrial Development Zone, Anping County, Hebei, P. R. China.